My fellow and I are currently merging our interests: I’m teaching him the importance of good grammar, the joys of Beyonce and the beauty of elongated Teesside vowel sounds; he is attempting to teach me about science, Led Zeppelin and silly southern pronunciation. I have to admit that he is learning faster than me (except on the musical front -he is oddly resistant to Beyonce), presumably because grammar is something we use every day, whereas who ever uses science in their daily life? It’s moot! One area in which I suspect we will never converge is heat. First, temperature: unless in direct sunlight, I am freezing cold; he permanently runs rather hot. This means that our life together is a constant negotiation of layers, windows and blankets. The other kind of heat relates to food. 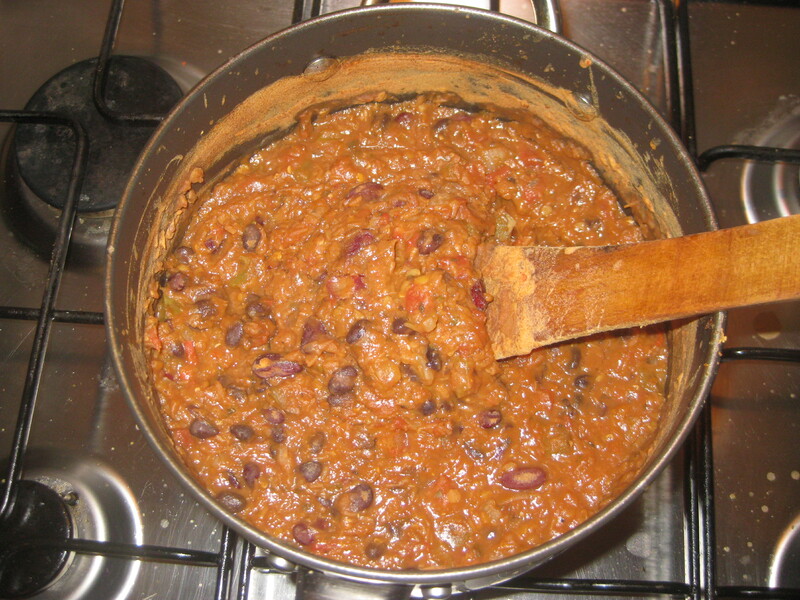 Thanks to his Indian roots, he has a two chilli minimum for every dish he makes. I think two chillies make food hotter than the sun. We are trying to compromise: he is sticking to the two chilli rule at the moment, with the hope of increasing that back to his usual six as my tolerance changes. And for my part, I am not deseeding chillies any more. So I felt rather proud of myself when I made this dish with a whole red chilli and a tablespoon of chilli powder. How I bragged of my fearlessness! 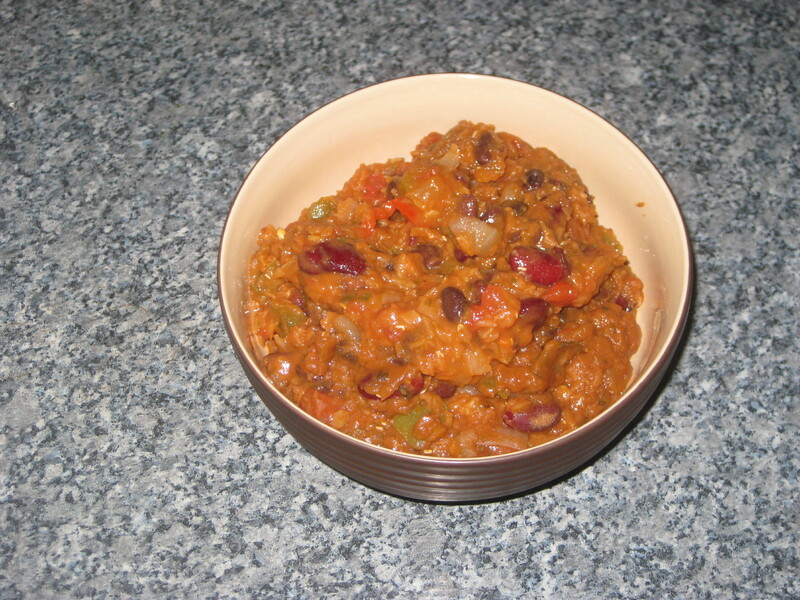 Alas, still not enough for my beau: he refers to this delicious beany chilli as “mildy”. At least he agrees that it’s pretty darn tasty though! 1. 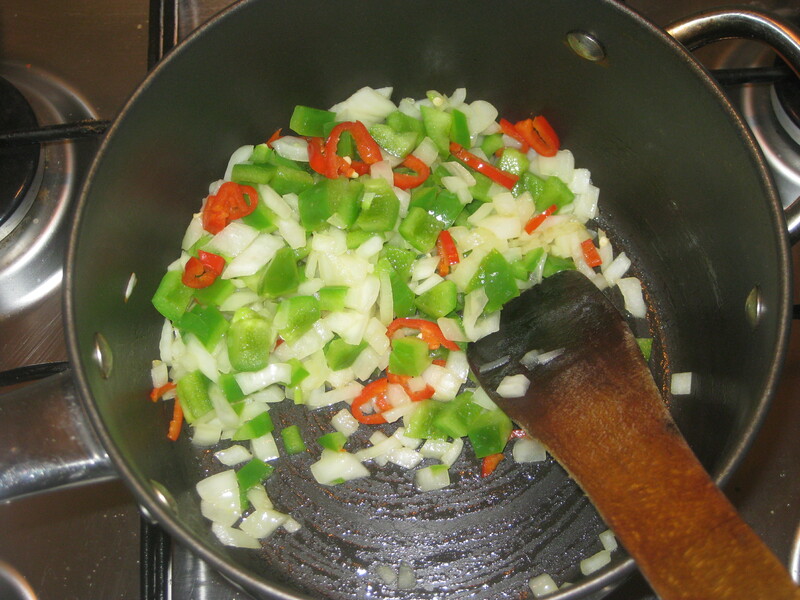 Heat the oil in a large pan and fry the onion, green pepper and chilli for about 5 minutes. 2. 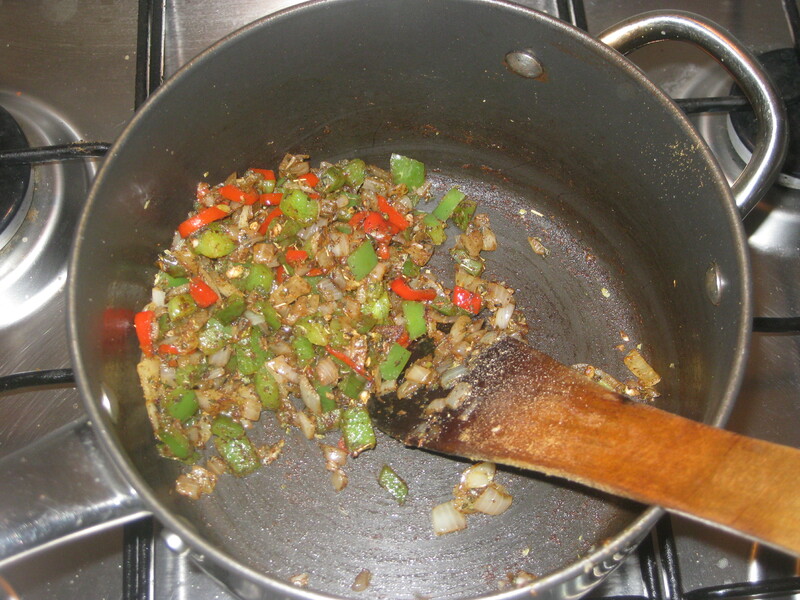 Add the garlic, chilli powder, oregano, cumin, salt and plenty of black pepper. Fry for about a minute, stirring well to ensure everything is coated. 3. 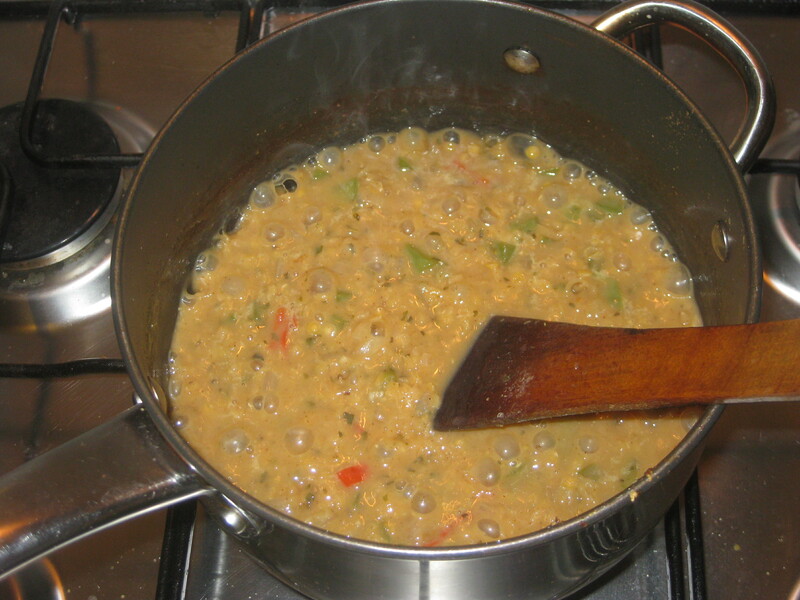 Pour in the stock and lentils, bring to the boil and then simmer for 15 minutes. 4. 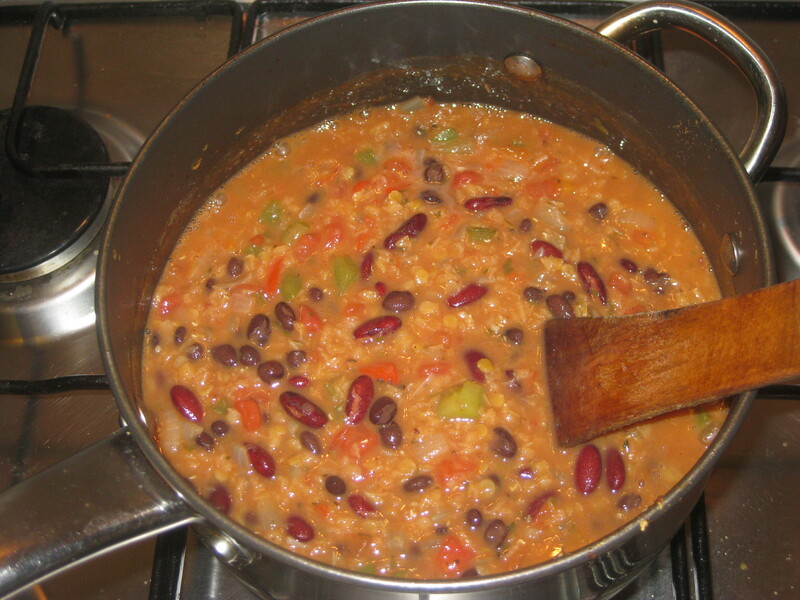 Add the tomatoes, kidney beans and black beans. 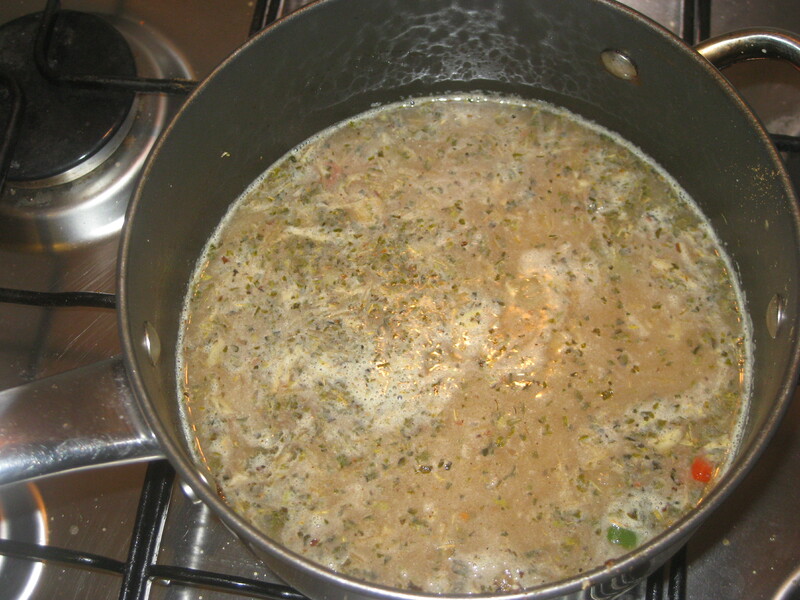 Cover the pot and simmer for another 20 minutes or so. 5. Finally, stir in the lime juice and maple syrup. 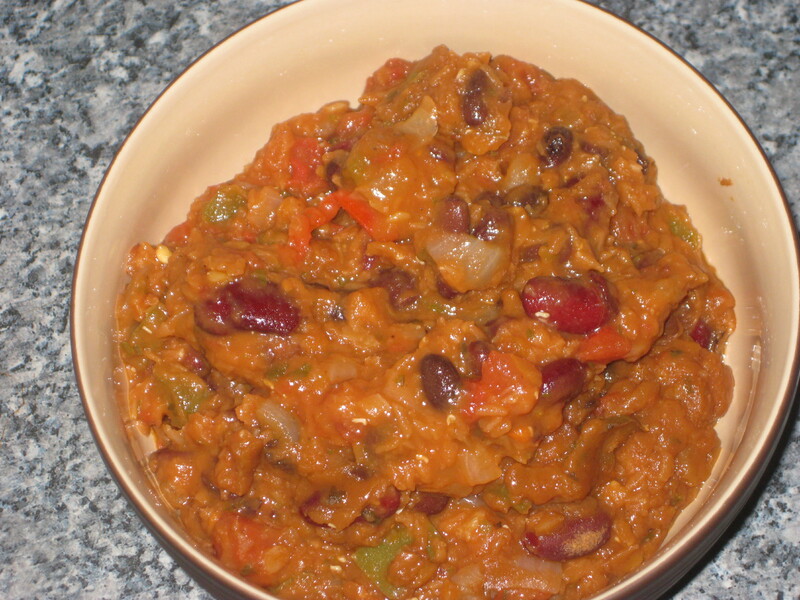 Delicious with rice or tortilla chips. 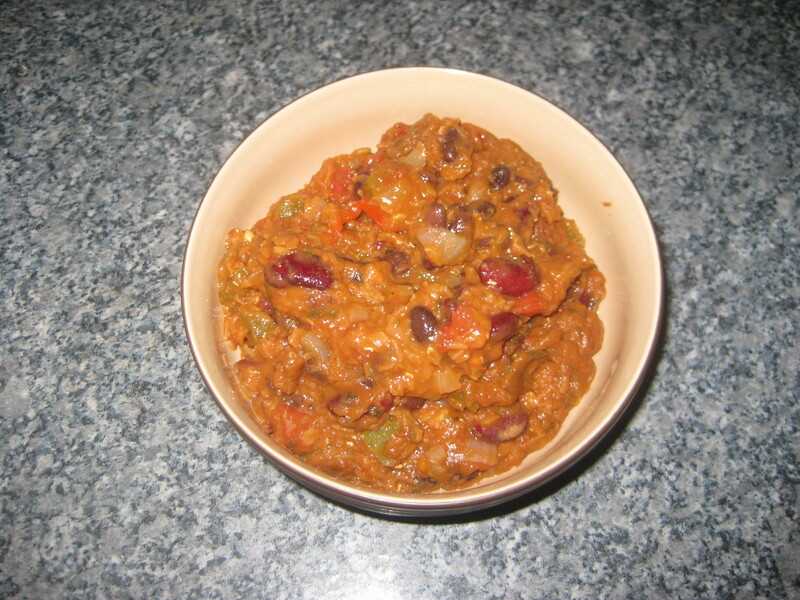 This entry was posted in Vegan Recipes and tagged bean chilli, vegan chilli. Bookmark the permalink.